‘The “Christmas Special,” as the snailsome train was popularly called by the Rodale girls, moved slowly out from Lewes Platform. It would disgorge red-hatted girls at almost every station of any size between Brighton and its destination, Victoria. Gerry and Delia, looking like two lost strays as they waved back vigorous salutations to twenty windowfuls of girls’ hats, turned to stare at each other as the last carriage disappeared. I never read school stories when I was a kid. Quite why is beyond me. I read about ballet and time-travel and sailing and acting and horses and ice-skating and ghosts and magic and being orphaned and solving mysteries and, constantly, the fight between Good and Evil. School stories – nope. Unless you count What Katy Did At School. I’d heard of the Chalet School series and Malory Towers, but somehow they never called me enough to pick one up. 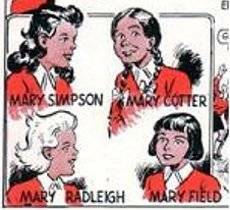 Maybe ‘The Four Marys’ in the Bunty comic was enough to put me off. But I couldn’t resist this book, which I came across on a shelf in a charity shop, set in 1920s Sussex, especially since ‘Rodale’ seems suspiciously like Roedean, the girls’ boarding school that still sits rather forbiddingly on the cliffs above the English Channel just outside Brighton. It’s more than slightly foxed, and scribbled on, but it only cost me 20p. 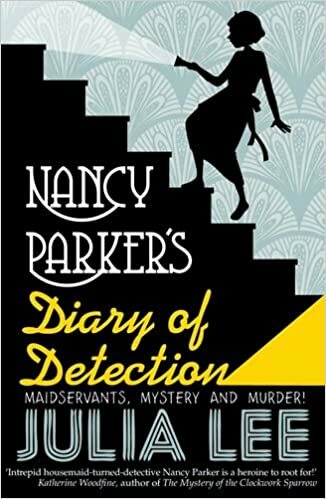 It turns out that Between Two Terms is not a school story after all, but the adventures of sisters Gerry and Delia in the Christmas holidays – der, the clue’s in the title… There’s a breathless series of events – possible jewel heist, dog rescue, sprained ankle, mystery benefactress, sinister house – and I’m only 35 pages in. The two girls are awash with energy, gushing enthusiasms, firm opinions, and passion – anyone would think there were hormones in the mix. And the exclamation-mark count has to be seen to be believed!!! There’s a good sprinkling of now-risible language and interesting long-dead slang, some of which might be revived. ‘Chillsome’, anyone? If I keep going it will be because I’m enjoying the quaintness, not the bizarrely stretched plot. Ethel Talbot was a prolific author of books for girls, many of them school stories, in the early decades of the 20th century, though I can’t find out much more than that. Now I’m off to ‘quaff hot Bovril’ in the ‘refreshment room’ of Lewes station, though I have a suspicion I’m about 90 years too late.